Black Hills Information Security. “Active Defense Harbinger Distribution.” 2017年4月17日アクセス. Center for Cyber & Homeland Security. “Into the Gray Zone: the Private Sector and Active Defense against Cyber Threats.” 2016. 2017年3月18日アクセス. Majuca, Ruperto P. , Kesan, Jay P. “Hacking Back: Optimal Use of Self-Defense in Cyberspace.” 2009. 2017年3月18日アクセス. Rosenzweig, Paul. “International Law and Private Actor Active Cyber Defensive Measures.” Stanford Journal of International Law 50.1 . Schmitt, Michael N. Tallinn Manual 2.0 on the International Law Applicable to Cyber Operations. New York: Cambridge University Press, 2017. Schwartau, Winn. “Cyber-vigilantes hunt down hackers.” CNN.com 1999年1月12日. 2017年4月22日アクセス. Strand, John, ほか. Offensive Countermeasures: The Art Of Active Defense. PaulDotCom, 2013. 伊東寛. サイバー戦争論 ナショナルセキュリティの現在. 東京都: 原書房, 2016. 士郎正宗. 攻殻機動隊 The Ghost In The Shell. 講談社, 1991. 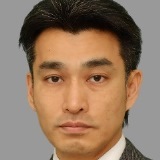 小沢知裕. “サイバーインテリジェンスの探し方 サイバーインテリジェンスのためにネットニュースを整理.” ITpro 2016年8月29日. 2016年8月29日アクセス. .
第3期サイバーセキュリティー研究チーム. “潜伏型サイバー・テロに備えよ ― 「信頼のインターネット」構築に向けて ―.” 日経・CSISバーチャル・シンクタンク. 2016.